I am totally a splurger, as being demonstrated now. I write nothing for months, then have 2 (or sometimes more..) posts all at once. This just didn’t really fit in with the last post, which was getting a bit long too! This week I picked up my best ever charity shop bargain. Now at £11.99 it wasn’t the usual price I pay for anything in a charity shop, but when I tell you I saw it on t’internet for £110 it makes it all the more bargainous. I love (most) Orla Kiely designs and have long lusted after one of her bags (not counting the Tesco ones, which I have a couple of), so when I saw this in the window of The Salvation Army shop I couldn’t believe my eyes. It is in near perfect condition and is …Gorgeous!! Spiral (season 5) – finally Saturday night telly worth watching, getting through a week between a 2 episode fix is hard, but then there is Broadchurch to soften the blow! 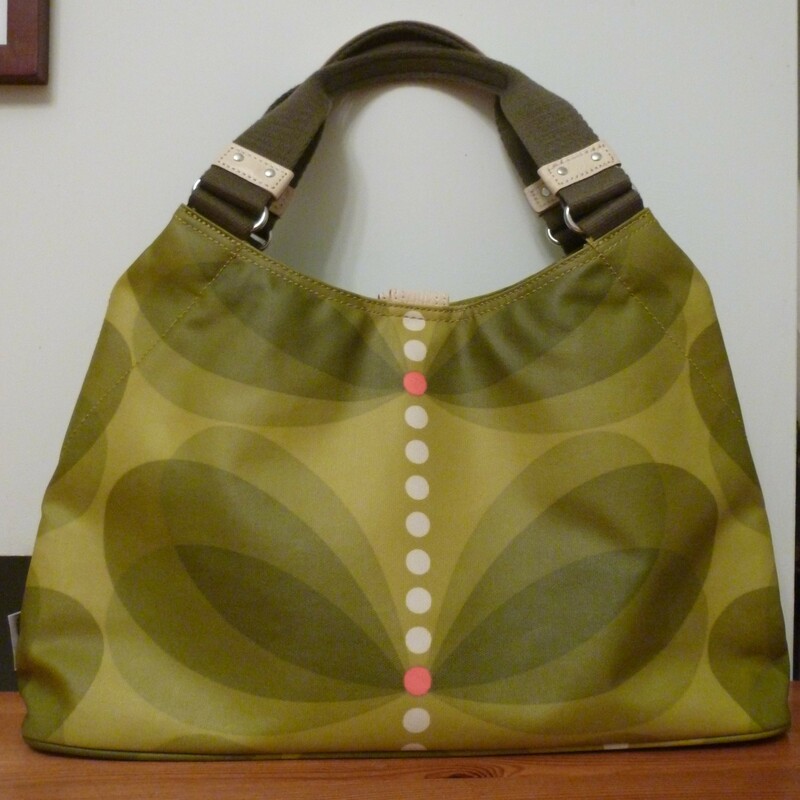 This entry was posted in Uncategorized and tagged charity shops, Orla Kiely, Siskiyou, Spiral, teapigs. Bookmark the permalink.